"Liquid Bells Singing Bowls is a pure and sacred statement that leads us straight into the heart of the silence. Thank you, Damien, for creating this beautiful recording." 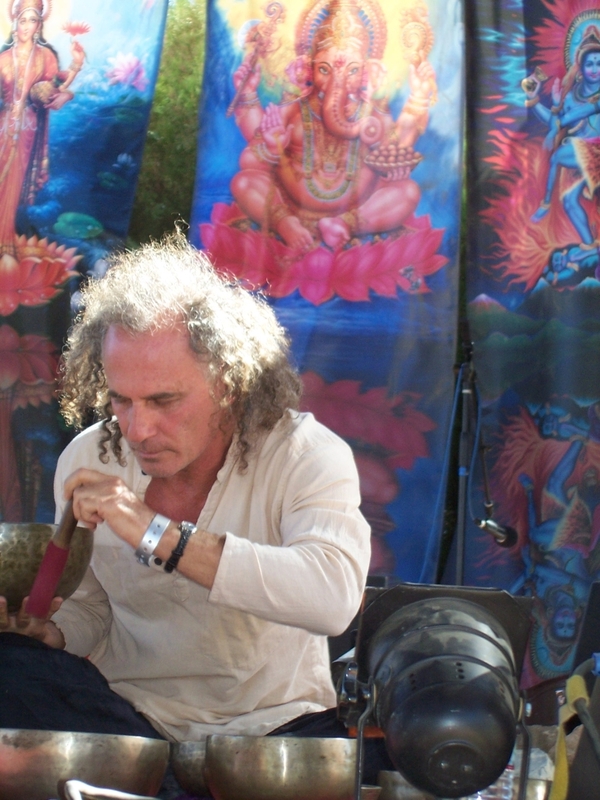 "Damien offers sublime sound healing through his mastery of Tibetan Bowls." 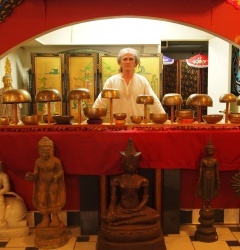 "The lovely sound of Damien’s singing bowls is simple, spatial and without arrogance. His cd is one of the best of my whole singing bowls music collection of about 100 discs. I am in awe! Highly recommended: a gorgeous and excellently recorded CD!" "Music is a celestial sound that controls the whole universe. Sound energy, sound power, is much, much greater than any other power in the world." Listen carefully to "the silence out of which the sounds come and into which they return. A portal is opening up." "Every method or therapist who claims the rules on how to handle the singing bowls, is wrong." "The sound of Tibetan singing bowls might be described as complex purity. Within the sound that is heard when the bowl is struck, there exists the “anahat nad,” the “unstruck sound” that can be a representation of the indwelling spirit – hidden, yet fully alive and beautiful. 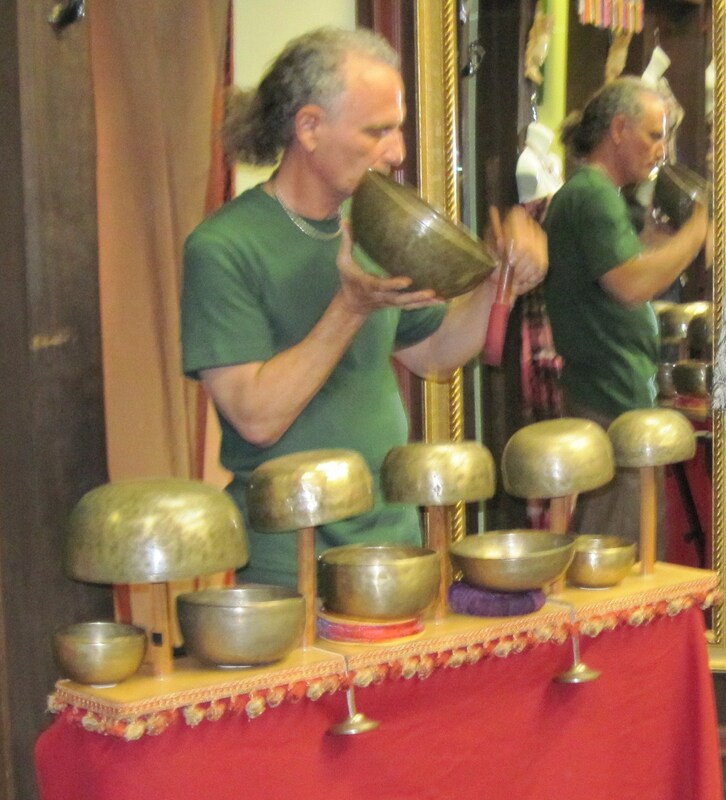 Damien Rose, a musician and healer, uses the sounds of the bowls to evoke communion with the eternal and lead listeners into a state of deep peace and relaxation that promotes healing and well-being. While wonderful for solitary listening, Liquid Bells is also a perfect choice for massage therapy sessions or for bringing a deep, meditative quality to one’s yoga practice. Damien Rose studied piano as a child, and guitar and songwriting as a teen, but he decided on a law career and had passed his bar exam when, while driving around California’s coastal towns, listening to the very first recording of Tibetan singing bowls to have reached the West, a chance encounter with a hitchhiker – who just happened to be a Tibetan singing bowl player – changed the course of his life. Since that day, Rose, who has been described as a truly “heart-aligned” musician, has devoted himself to the exploration of the healing properties of these magnificent, conscious-raising sounds. 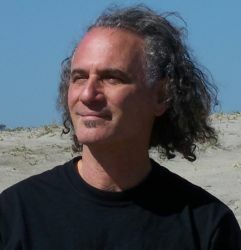 He has performed at yoga conferences and festivals, chakra healing and meditative workshops, and has been asked to provide the soundtrack for many CDs, including a guided meditation for the Chopra Center and the recent recording made by its lead educator, Davidji. You may learn more about Damien Rose and listen to a sample of Liquid Bells at liquidbells.com." Damien Rose came to his calling as a master of the Tibetan bowls through a chance acquaintance too amazing to be mere coincidence: He picked up a hitchhiker who just happened to be one of the artists on a Tibetan bowl mix playing on his car stereo. After being driven home, the hitchhiker invited Rose in to see a whole living room full of his unique bowls and setups. Rose had an instant and deep spiritual awakening and never looked back. Magic happens when one plays Liquid Bells Singing Bowls, one that makes such fateful synchronicities seem predestined; the music plays you, and it vibrates your cells from the inside out until your whole soul is rearranged as it was meant to be, radiating with pure spirit and love. Objective critical response becomes almost impossible as the sound takes you over and sends you to your knees or a lotus position, bringing tears of release, quiet joy, or just a healing but emotionless trance. Not unlike acupuncture or Reiki, the power of Liquid Bells manifests within the energy centers of the body via vibration energy. Consider the power in the track "Release," which uses contrasting vibrations to create a gentle “pulse” sound that grounds us in a relaxed state of alpha brain waves. Solemn bell tones are struck in "Presence," reverberating and then slowly dissolving into the ether, as other bell tones are struck and merge together, creating new pitches and frequencies, each dissolving with the arrival of the next, like waves along the beach. In the final lengthy track, "Wonder," the bells slowly gain so much power that very deep meditation becomes almost impossible to avoid. Just having Liquid Bells playing in a room can reduce random people to tears, bring up buried issues, and evaporate them in the vibrations of the bells. The tones in "Wonder" sound at times like the calling of some universal church, no melody or tune, just the sense of powerful, vibratory resonance, a beckoning to what is best in us to come forward and let the temporal worries and darkened areas get vibrated back into the light, until all we are is light, love, and freedom. As an accomplished musician, Damien Rose sought for a “pure infinite Sound,” which he finally discovered when he first played a Tibetan bowl. This experience brought together his spiritual aspirations as well as healing, and communion with nature. In Liquid Bells he shares this universal sound as a means to pull us into a state of relaxation and mental calm. Every sound in this album originates from twenty Tibetan bowls, gong. Tingsha, Idi seed rattle or cricket, using a variety of strikers, bowing them with a violin bow, and other unique techniques. The album is the finest of Tibetan bells we have heard, highly recommended. "When I was around 8 years old I would put my hands on the carpet and play it as if it were a piano. My parents bought me a piano soon thereafter. As I started to play piano I fell in love with the sounds of certain intervals and chords. They would fascinate me. I thought it was the greatest thing. Somehow it filled me emotionally." When I was 25 years old I went inside a spiritual bookstore and saw a record album on the wall that had a very beautiful 18th Century Tibetan thangka for its cover. I still have that album in perfect condition. I loved the cover and the title sounded exotic, Tibetan Bells, by Henry Wolff and Nancy Hennings. When I played that record, it was the most intriguing sound I ever heard. It sounded like the language of the Universe. Keep getting slower and slower until you are still and in that seeming emptiness you will experience utter fullness…sound can help us get there. In The Yoga of Sound Russill Paul states this idea, "The deeper we journey into ourselves using sound, the slower our brain waves become. The paradox is that instead of becoming dead to the world as our brain waves slow down, we awaken!" I view power in this sense as personal power, meaning power that comes from within. Its attributes would include patience, calmness, a knowingness, a completely centered way of standing in the world. No leaning in to anything or anybody. This power can manifest with silent intention or with clear, non-reactive, non-judgmental spoken words. It is, I believe, the power that is inherent in most martial arts, which also includes the power of giving way as in Akido, and the power of empathy, which comes from the heart. In the absence of true power we use force in moving through this world. Force comes from external authority, or sheer physical strength or weaponry. Underneath force lies the fear that unless I sufficiently push, I may lose. Its attributes are false security, ego needs, a misguided masculinity, a fundamental mistrust. I am always intending to be in a place of personal power. I remember exploring this concept early in my life reading the books of Carlos Castaneda and later in my life spending some time in Peru with a native medicine man. I do not always succeed. Sometimes I am reactive and judgmental and this does not lead to feeling powerful, but rather just shows me my fears and insecurities. Many times I do experience a sense of power that makes me feel connected to a flow. Unforeseen and wonderful synchronicities occur and nothing could be better. "I don’t want to sound esoteric, but you hear it all the time from artists and others, “I was channeling” or “I was just a channel”. Well, this is how I hope it is for me. We all just try to be empty and let it come through. It is intuition. It is listening very carefully to all the overtones, feeling the vibration, the pulsation. In Kashmir Shaivism, Spanda is a Sanskrit term meaning the pulsation of consciousness or the inner universal vibration of consciousness. When I play I let the sound come out by giving it space. I want to hit each bowl just right." Touch is very important in playing bowls, just as with any instrument. It all comes down to feeling, our feelings deep inside our heart. When we play Tibetan singing bowls we are doing the same thing. We are expressing the deepest feelings in our soul and these bowls were made expressly for allowing us to experience deep spiritual vibrations. It is very easy for anyone to get some beautiful sacred sound out of a singing bowl. Q. Can you offer any advice to those aspiring in the fields of creativity as to how they should better connect to the Divine creator within? One important aspect is to be confident that you can and will connect. This, of course, comes with experiences of it happening for you. One should create with a sense of complete freedom, accepting that no rules apply. Get connected to your own feelings and emotions and express them. Let it be a release in your body so that you feel good in creating. Be thankful when it does happen. After all, I believe, it is a gift to be inspired, even just for moments. A good Tibetan bowl album is more than music; it’s a deep, transcendental experience. The resonant chiming… the centering vibrations… the singing bowls literally blot out all distractions and take you to a place of pure meditative bliss. The recording SINGING BOWLS, from Liquid Bells, achieves this effect. A project of musician Damien Rose, Liquid Bells features a variety of tones –– some using a rubbing motion, some lightly struck to provide a ringing effect and some struck for a more dramatic gong effect. The sound is pure and vast, with appropriate use of silence between the tones to allow the tones to shimmer and fade as necessary. Use this program to add depth to your meditation practice or to simply relax the nerves and let go of tension. Damien Rose takes a holistic approach to his craft. He communes with his bowls and embraces their resonance in his soundworlds. 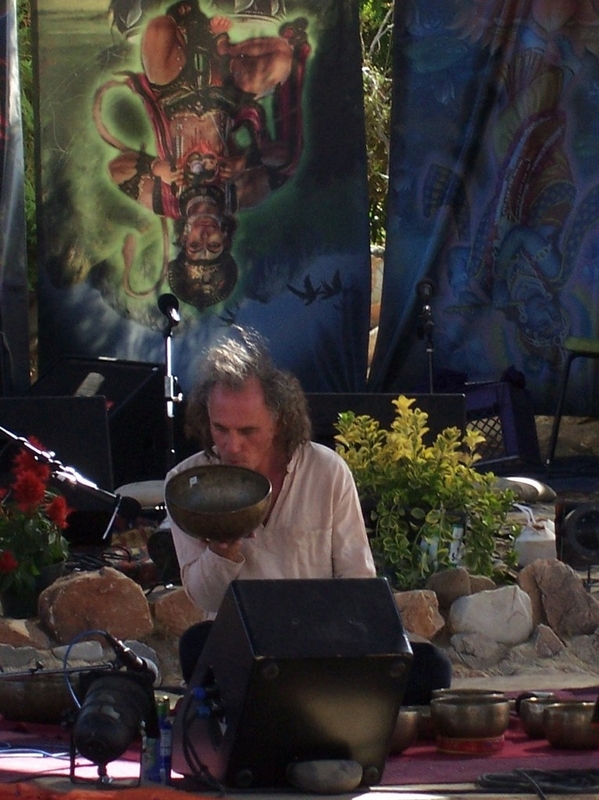 As Liquid Bells, he has created Singing Bowls to share his visions and passions with listeners. It is a sublime and rich journey. Damien uses several unique variations to create his diverse atmosphere. He uses different types of strikers and violin bows in several combinations of keys and notes. The natural properties of the bowls take the session to higher heights and deeper depths. The purity is high. The intensity is vibrant. (WOW! It happened again! It is almost impossible to write while listening to singing bowls—quartz or Tibetan. The overtones are just too strong, especially in the hands of a master like Damien. I found myself floating away from pen and paper as I listened. I was outside myself watching me. It was quizzical and almost comical. All too soon the music stops and the journey ends—for now. Listeners are left feeling refreshed, rejuvenated and revitalized. The world is more pleasant. This is another essential from a vital performer. It is recommended highly. and author of Tracks Across the Universe: A Chronology of Ambient Electronic Music. This CD takes me into such a deep clear place. I turn it on every night after I've sat in meditation for an hour. I lay down flat, no pillow beneath my head so I am in alignment, then I turn on this CD and begin to Reiki myself. It doesn't matter how deep I've 'settled' during my meditation, Damien's music takes me even deeper… to a place I knew existed but seldom visited. During the past weeks since my mom passed away, this CD has assisted greatly with my healing. Hearing the tones created by Damien—feeling the sound of the bowls resonate within my energy centers—brings my chakras and soul into alignment. I am seldom still awake at the end of this CD, but I have listened to it in its entirety during the day. Every track brings me to a different place. When I first received it I fell in love immediately - and those feelings have increased. Every time I hear this CD - from that very first tone - I find myself in a new space - very different from what I'm used to when listening to CDs. Thank you, Damien, for creating this. I know you didn't create it specifically for me, but it sure feels that way when I'm resonating within its tones. I honestly cannot recommend this CD highly enough. You can click here to listen to some samples of Damien's work. Buy this CD… for your Self, for your loved ones, for those you care about. It will surely assist anyone listening to it on this journey we call life! Tibetan bowl musician, Damien Rose, began studying piano as a child, giving recitals and playing for assemblies at his elementary school in Los Angeles, CA. As a teenager he added guitar and songwriting to his musical world. After graduating from law school, passing the CA Bar exam and heading to be a lawyer, Damien was driving around the rural coastal towns of West Marin, north of San Francisco, listening to his favorite recording, Tibetan Bells, the first western recording of Tibetan bowls. He picked up a hitchhiker and was stunned to find that person was not only a Tibetan bowl player, but he actually played on Tibetan Bells! After driving the hitchhiker home, he was invited in where he discovered a vast array of ancient bowls set up in the living room. Listening to live bowls for the first time changed Damien’s life. Since then he has completely devoted his life to working with sound vibration as a revealing and healing source of spiritual experience. With hundreds of hours of recording and mixing in professional studios he gained insight into the intricacies of sound. Along with his spiritual practices, this led to an understanding of sacred music and the healing essence of Tibetan bowls. Given his experimental nature, Damien thought of a new way to position the bowls for playing. By putting some of them upside down on poles he could easily ring several in succession. He custom built a stand giving him easy access to 20 or more bowls at one time. This “instrument” helps him create his orchestral sound. In 2002 Damien was playing at a yoga conference where he met Deva Premal and Miten. That night he played before their performance. When he made his CD they wrote, "Liquid Bells leads us straight into the heart of the silence. Thank you, Damien, for creating this beautiful recording." 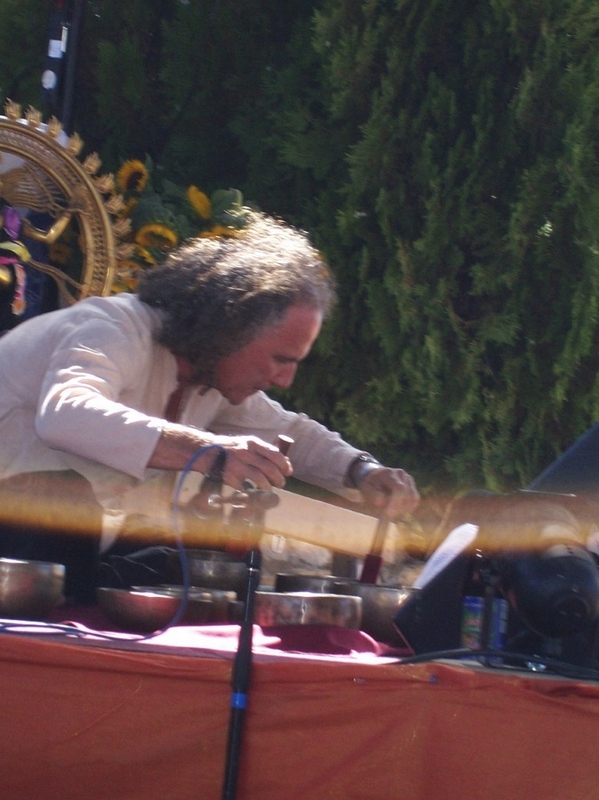 In September 2009 and 2010 Damien played at Bhakti Fest, the historic three-day kirtan festival in Joshua Tree, CA. He will be there again in 2011. He has played at Yoga Journal Conferences in San Francisco for classes led by Shiva Rea and Sherri Baptiste. He has also performed with chakra artist Mykal Aubry at Golden Bridge Yoga Studio in Los Angeles and at Micheal Beckwith’s Agape Church. Recently, Damien recorded bowls for a spoken word meditation CD with Davidji, Lead Educator at the Chopra Center in Carlsbad, CA. After ten years of collecting his set of bowls and ready to express all he had learned about the unstruck sound, the anahat nad, Damien recorded his first Tibetan bowl CD, Liquid Bells, in 2008. The CD was featured nationwide on NPR (National Public Radio) in a Hearts of Space program called "Sacred Singing Metals." His intention in creating this recording is his belief that "certain forms of music, like beautiful fragrances, awaken associations in us that are primordial, eternal, and ultimate. These timeless associations call us to the core of our spiritual being." (Forward, The Yoga of Sound, by Russill Paul) The deepest parts of our soul recognize these resonances and then we relax, we commune with spirit and spirit heals us. 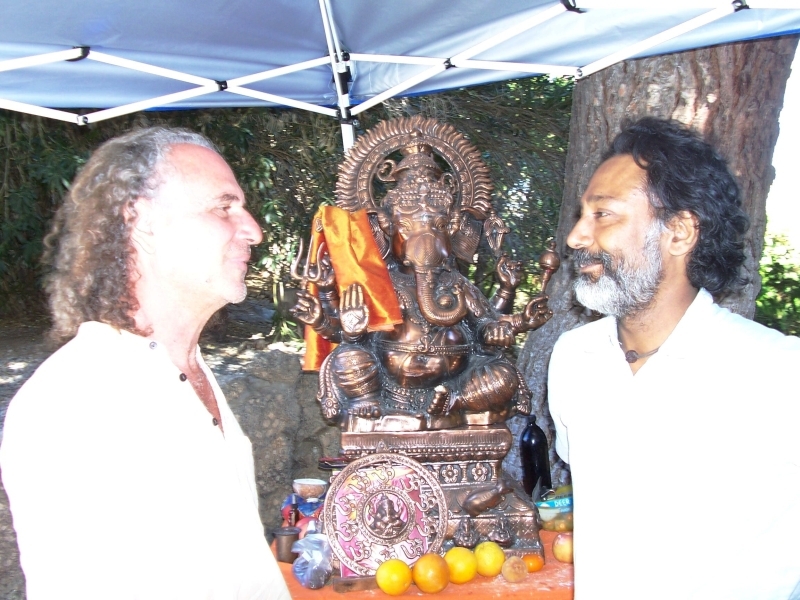 During one of Snatam Kaur’s concert tours he was fortunate to meet GuruGanesha. He was honored when GuruGanesha wrote this about his CD. "Damien has done a masterful job capturing the essence of the Tibetan singing bowls' magic. By meditating on this recording, one is transported to a place of deep trust and serenity. It shuts down your mind and opens your heart!" In June 2010 Daily Om described his work, Liquid Bells, like this: "Solemn bell tones are struck in "Presence," reverberating and then slowly dissolving into the ether, as other bell tones are struck and merge together, creating new pitches and frequencies, each dissolving with the arrival of the next, like waves along the beach. In the final lengthy track, "Wonder," the bells slowly gain so much power that very deep meditation becomes almost impossible to avoid. Just having Liquid Bells playing in a room can reduce random people to tears, bring up buried issues, and evaporate them in the vibrations of the bells. The tones in "Wonder" sound at times like the calling of some universal church, no melody or tune, just the sense of powerful, vibratory resonance, a beckoning to what is best in us to come forward and let the temporal worries and darkened areas get vibrated back into the light, until all we are is light, love, and freedom." "Damien has done a masterful job capturing the essence of the Tibetan singing bowls' magic. By meditating on this recording, one is transported to a place of deep trust and serenity. It shuts down your mind and opens your heart!" "Damien masterfully channels the universe with Liquid Bells. 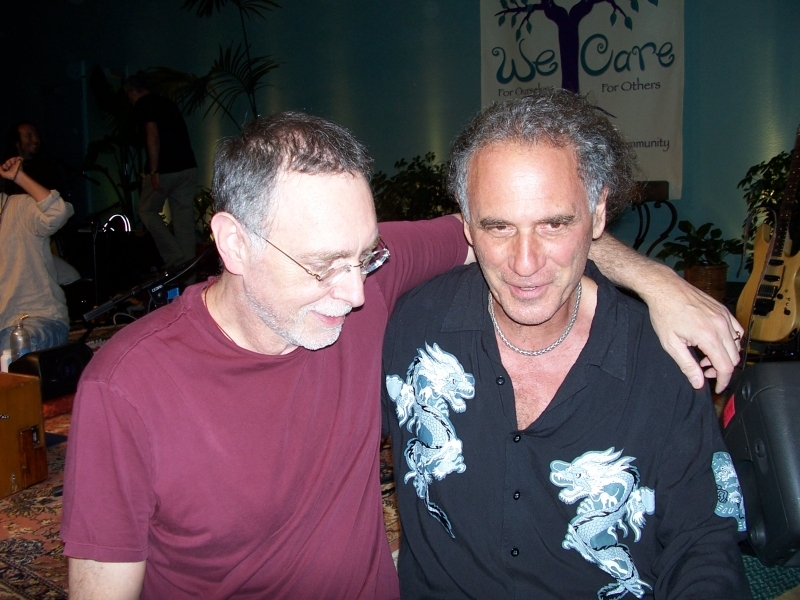 I am honored that he joined me on my guided meditation CD." "A good Tibetan bowl album is more than music; it’s a deep, transcendental experience. The recording Singing Bowls, from Liquid Bells, achieves this effect." "I played your CD about a week ago and many times since, as I’ve come to profoundly enjoy your work. While many forms of music can help bring the listener into the present moment, your music hurls the listener by the scruff of the neck into the Now, willing and ready or not. I appreciate this opportunity to experience your work." "Thanks so much! I love your music - it is so beautiful, and will make for a great scene." "I love your CD and I am looking forward to having it here for our customers." 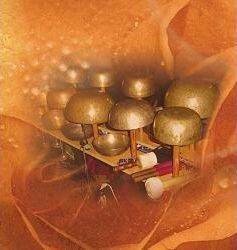 "Liquid Bells Singing Bowls by Damien Rose is the only CD I use for the deep relaxation in my yoga classes. My students love it! I have also chosen it as the main sound track for my on-line classes. These deep, enlivening Tibetan bowls take you on a journey of sound connecting you with the silence of Oneness. Damien communes with the bowls. He has a capacity to hold a clear space and then artfully and lovingly invite the bowls to fill it with their sacred sounds. The harmonics of the sustained ringing tones penetrate deep into the listener's psyche, transporting us into the dimension of peace and serenity." "Damien's standing-room-only performance in the museum's Asian Court was completely unprecedented. Set in an ideal environment, surrounded by ancient Buddhist statues, the concert was absolutely magical, and the evening, unforgettable." "Damien Rose embodies a divinely unique gift of weaving auditory tapestries that evoke a strong remembrance of Soul's deepest calling ~ a return to our primordial Being, of unfettered love and grace. I vividly remember the first time I heard him play Tibetan bowls live, at a kundalini yoga class, for savasana. He was a surprise for the students that day. He slipped into the room quietly and set up his bowls, while we were all lying in surrender, following our breath. I did not notice his arrival. I was expecting the teacher to put an ambient CD on, and then in the next moment, I became aware of these enchantingly subtle sounds wafting thru the room. I began to feel unusual sensations stirring my heart. I was moved to tears as I felt sacred vibrations resonating deeply in my core. I opened my eyes to see what was going on...was I having a mystic awakening? It was then that I saw Damien Rose sitting amongst his myriad of bowls, so gently and powerfully engrossed in a trance of musical grace. You need Flash Player 7 to be able to listen to the music. 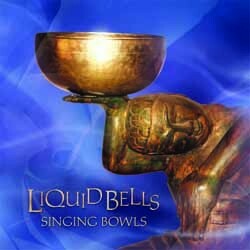 To PURCHASE Liquid Bells CD please visit White Swan Records, CD Baby, Amazon and Yoga Technology. To DOWNLOAD go to Amazon, CD Baby and iTunes. "The album is the finest of Tibetan bells we have heard. Highly recommended." "Magic happens when one plays Liquid Bells. Just having Liquid Bells playing in a room can reduce random people to tears, bring up buried issues, and evaporate them in the vibrations of the bells." Gate 2: "Only a New Seed Will Yield a New Crop"